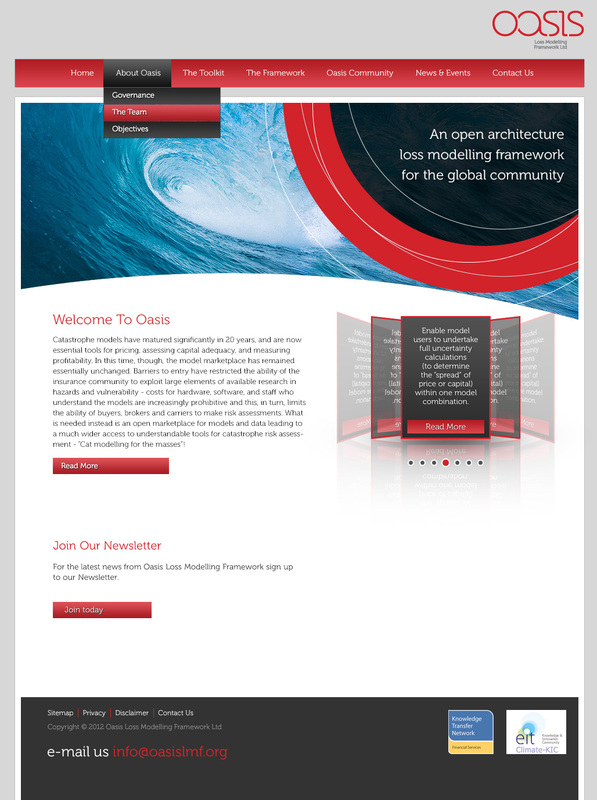 The Oasis Project is an Open Loss Modelling Framework for the insurance industry. Being a new initiative, Oasis needed to develop and build a strong brand and identity. Devise created a strong brochure site and is working closely with the Oasis team to create a fully functional tool-set to help manage the needs of this growing project; including document management and member services. With the help of Devise Oasis has been able to realise an official web presence.